Cordelia must have fallen asleep and Pierce brought her out because she didn&apos;t remember walking into the living room and somehow ended up on the man eating couch. She rolled out of it and stumbled to stand up. Her migraine had subsided to a small throbbing pain behind her eyes but it wasn&apos;t as bad as before. Pierce walked out of the hallway that led to his bedroom and office. "Hmm. You woke up. It&apos;s been a couple hours since you started to snore away in my office." He told me. "Still hungry?" He asked. Her stomach rumbled and she set a hand on it. She nodded. "Okay." He mumbled and walked into the kitchen and walked out moments later with a sandwich. "I made this at about 3 just in case you woke up a little after that but you never did. I thought I had to call the pack doctor. Then I remembered you weren&apos;t feeling good. So I brought you out here and let you sleep." She struggled to sit on the couch before taking the plate from him and started to eat. "What time is it?" She asked through a mouthful of food. "Eight at night. You slept a good 8 hours. Because you got into my office at... like 10:30 this morning and fell asleep at noon." He said and sat down next to her. Cordelia scooted away from Pierce but ultimately failed at it and sunk deep into the cushion. "Poop." She hissed and fixed herself so she wasn&apos;t sunk into the cushion. She finished her food and gave the plate back to Pierce. He raised an eyebrow at her. "Am I your servant or something?" He asked her as he took the plate from her. She nodded, giving a smirk. He rolled his eyes at her and got up from the couch and went into the kitchen to wash the dish and put it away. "I&apos;m bored." Cordelia sighed and set her elbows on her knees and her chin in her hands. "Well I&apos;m not sure what you want me to do." Pierce said bitterly as he sat back down next to her. "Take me to do something." She told him and looked up at him. He furrowed his eyebrows together. "Why would I do that?" Cordelia growled and gave up. "Never-mind. Just thought it be nice or whatever for us to maybe do something together. Last night you told me we were going to try." She got up from the couch. "Well relationships are a two way street, princess. Sorry to break that to you." He snapped and stood up too. "I&apos;m trying to spend time with you and make ideas to do that and you&apos;re over here being Mr. Stubborn and say you got stuff to do and just ignore me then get mad at me when I try making plans with you and try. So sorry, princess, that you&apos;re not wanting to work with me." Cordelia stomped out of the pack house. "Don&apos;t walk away from me." Pierce yelled after her. She had no idea where she was going so she just walked towards the pack hospital. Maybe Annabelle was better. And her and Cordelia could run away. She remembered which way the others went last night so maybe just follow that direction and she could hit whatever remained as her pack. As she got to the pack hospital, Pierce violently grabbed her arm. "Don&apos;t walk away from me when I&apos;m talking to you missy." He snarled in her ear. "Hey what&apos;s going out here?" A voice called and footsteps coming to them. Cordelia looked up and saw both Genevieve and Annabelle standing there with concern on their faces. "Pierce. Let her go. Now." Genevieve told him and pinched his arm that was holding Cordelia&apos;s.
He winced and let go of Cordelia. "Was he hurting you?" Annabelle asked Cordelia quietly as she walked up to her. Cordelia shook her head no. "I&apos;m fine." Cordelia said almost inaudibly. "It looked like he was going to hurt you." Annabelle&apos;s voice had just as much worry and concern as her face. "It&apos;s nothing. Promise." Cordelia lied and gave Annabelle a smile. "You need to stop being so rough with the girl okay? She&apos;s scared for her life here. She needs love. Not you snarling at her like the savage wolf you are." Genevieve slapped the side of his head. "Ow." He mumbled. "That hurt." He growled. "Good. Maybe if I do it again it&apos;ll knock some sense into you, dammit." Genevieve snapped and raised her hand again to hit him again but he winced away. Genevieve never liked physical violence on someone. Even those who&apos;s she&apos;s seen as her children and even her children. But if she needed to, then she would. She didn&apos;t even like to cuss. Cordelia looked over at Pierce and Genevieve. She hated him so much. He was so mean to her for no reason. She didn&apos;t do anything to him. She really wanted to just reject him so much. But something was stopping her. Stopping her from rejecting him. She could easily say &apos;Pierce Eldred, I reject you as my mate&apos; and walk on with her life. But the words wouldn&apos;t form in her mouth. It was like those words refused to be put together in the same verbal sentence. Pierce looked up at Cordelia. She annoyed him to no end. She pushed every button he had just by looking at him. He could reject her right there. But every time he thought about it, his couldn&apos;t bring himself to do that. It was hard to even think about rejecting her. So how could he say it if thinking of rejecting her hurt him so much? She was beautiful, he thought. She was tough and strong and stubborn. Like him. She was just like him in a lot of ways. But he was so used to his walls. So used to just pushing people away and being mean. He didn&apos;t know what he wanted anymore, though. He was mean. Cruel. Unloving. But something attracted Cordelia to him. 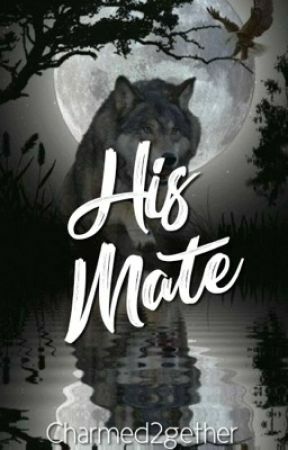 Not just because the fact their wolves were mates. But something else. She saw that in some ways, he was like her. Strong willed, tough, stubborn. He treated her like she was nothing but he was showing signs of changing. Genevieve left Pierce&apos;s side and grabbed Annabelle by the hand. "Come on, dear. Let&apos;s get you something to eat. Heard the hospital doesn&apos;t give good food." Genevieve chuckled and pulled her along to the pack house, leaving Pierce and Cordelia alone. Pierce walked up to Cordelia, his nostrils flaring. Cordelia looked into his eyes. Maybe he wasn&apos;t going to change, she thought. Maybe his walls would stay up forever. And she could never break them down. "Pierce..." She started to say the sentence to reject him. But the more she looked into his eyes, the more she couldn&apos;t say it. "I... I hate you so much." She huffed and shoved him in the chest. Pierce smirked. "Now you know how I feel about you." He laughed. "Why won&apos;t you let me break your dang walls? Why do you hide yourself? There&apos;s so much more to you than what you&apos;re putting out there. I know it. You&apos;re not such a bad guy. Just... let me break you." She sighed. Pierce shook his head. "It&apos;s not that easy." He said quietly. "I&apos;m so used to hiding... I&apos;m not sure if I can unhide." He said. Cordelia grabbed Pierce by the shirt and smashed her lips into his. They fit so perfectly together. The way they moved together. Everything about the kiss was amazing. Cordelia&apos;s hands found their way to his hair and Pierce&apos;s found a way to her hips as they collided their bodies together. This was all new to the both of them. They both hated each other but they knew that they were meant for each other. Cordelia knew she just had to work harder to break his walls and Pierce knew he had to work a hell of a lot harder to be a better man.